The K2 pistol is a service-type handgun designed and manufactured in Armenia since the 1990s. It is currently in use by the Armenian Police and Military. 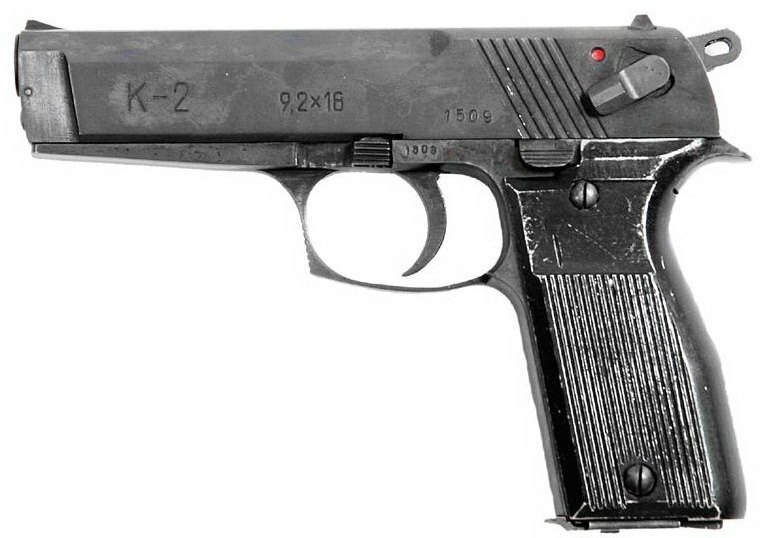 The K2 is a semi-automatic pistol with a double action trigger and external hammer. The manual safety lever is located on the left side of the slide. It is of all-steel construction, with simple blowback action (the return spring is located below the barrel). This pistol uses proprietary, double stack single feed magazines with 14-round capacity. The sights are fixed and so are not adjustable.